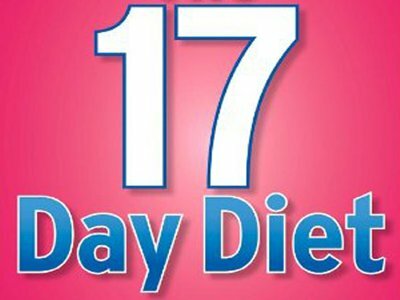 The 17 day diet appears to be the new craze in the weight loss world. It is not unusual for diets to appear, become fashion and in time disappear or get discredited by professionals. So it will not come as a surprise if the 17 day diet follows the same path or if people start questioning its credibility. So does the 17 day diet really work or is just one of the many trends that come and go? 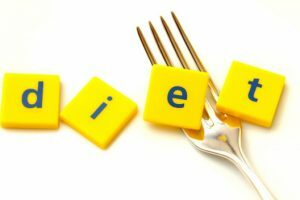 This article will look at the details of the 17 day diet and review these. The diet was designed by Dr. Mike Moreno a family practice physician and became popular after being introduced in a US TV program. The diet is mainly available through the internet, and is detailed in the 17 day diet book, published by Dr. Moreno. 1st – The accelerate cycle (Days 1-17). During the 1st cycle the diet plans allow unlimited lean protein (in the form of lean meat including 2 eggs per day), a small amount of oil (i.e. flaxseed oil or olive oil), small amount of fruit and probiotics such as yogurt. Total recommended/given calorie intake is 1200 cal. Diet plans don’t allow starchy vegetable such as potatoes, processed or ‘white’ carbs (i.e. pasta, bread), sugars and alcohol. The plans also include drinking green tea and 64 ounces (aprox. 2 litters) of water. According to Dr. Moreno the 1st cycle is like a cleansing period in which the body clears sugar and toxins from the blood. It also promotes rapid weight loss and fat-burning, discouraging fat storage. It promises weight loss of 10-12 pounds. 2nd – The activate cycle (Days 18-34). During the 2nd cycle the diet plans decrease the amount of fat into 1 serving and introduces ‘healthy carbs/starches’. Examples of Dr. Moreno classifies as healthy carbs/starches are legumes, brown rice, bulgar and sweet potatoes. The average calorie intake is around 1500 cal. What is important in this cycle is ‘calorie cycling’. What is classified as calorie cycling here is alternating low calorie days with high calorie days. The theory is that this calorie yo-yo’ing will confuse the body and will keep the metabolism guessing. In result the ‘confused’ metabolism will not slow down and weight loss will not plateau. 3rd – The achieve cycle (Days 35-51). 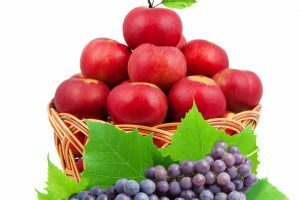 During the 3rd cycle the diet plan expands and allows a large variety of fruit, vegetables, proteins, fats and starches/carbs. Protein is restricted to the size of a sponge. The cycle also allows 100 calorie snacksand a serving of alcohol. 4th – The Arrive cycle (days 52-life). The 4th cycle is the maintenance cycle which is meant to last a lifetime. The diet plan is to just follow plans from cycles 1, 2 and 3 through the week. At the weekend the plans allow 1-2 favourite meals (eat what you like) and 1-2 alcoholic drinks per day. The recommendation given is splurge but do not binge. 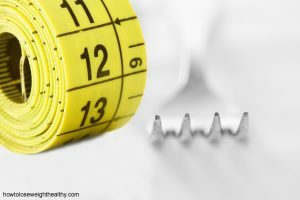 The theory is that in his way dieters can keep in track with their weight and it will be easier to pick up on Monday from where they left off. The last cycle is considered to be the weight stabilisation cycle. Dieters are advised weighing themselves once a week and if they have gained 5 pounds to go back to the 2nd cycle and diet until they lose the weight. By breaking down the diet in 17 day cycles dieters will not feel bored and are more likely to comply with the diet. In addition the body takes approximately 17 days to adapt therefore each cycle is 17 days. A 2nd aspect is calorie cycling and tricking the body and the metabolism. By calorie cycling the metabolism will not slow down and therefore weight loss will not plateau. The diet will give the basis for healthy eating and healthy lifestyle so when dieters arrive in the 4th cycle they will just practice what they learned from the previous 3 cycles. The diet is also accompanied with a 17 min exercise workout which will aid in both weight loss and healthy living. Dr. Moreno is citing a scientific research which supports that fast weight loss has more sustainable results than slow weight loss. It is not a very bad diet. 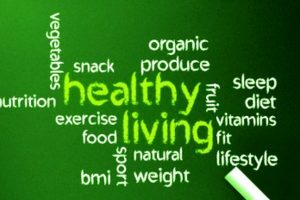 It has some principles for healthy eating and lifestyle, such as don’t eat junk food, and do eat fruit and vegetable combined with exercise. 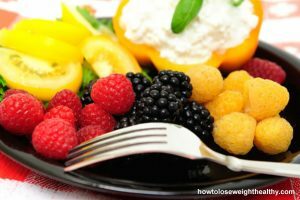 Some people do like to follow a specific diet when trying to lose weight, and in comparison to some other diets available in the market, it is not too bad. However, it is not something new. The Dukan diet has a similar 4 phase outlook and structure. Phase 1 or cycle 1 in all those diets involve a very low carbohydrate high protein plan. There is some scientific evidence to actually support that higher protein diets are better for health than higher carbohydrate diets. 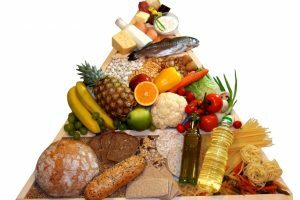 However, very low carbohydrate diets are not recommended. There are healthier options when choosing carbs, such as legumes instead of bread or pasta and can be as healthy if included in a diet. Indeed the body does take about (±) 2 weeks to adapt completely to changes. So if transferring from a high carb to a very low carb diet there will be some effects until the body adapts. Dieters can expect to feel tired, have cravings for sugar, feel irritable and have possible mood swings. Therefore, following the 1st cycle can be a challenge for some people. Lowering carbohydrates gradually may be easier and more feasible. Depending on the level of exercise, an adequate amount of carbohydrates should be taken. Exercise does not necessarily require large amounts of carbs as years ago used to be believed. However, if involved in intensive exercise, eating some carbs is important. The 1st cycle is predominately a low calorie diet. Yes the body shifts into burning more fat during a low carb diet, however, during the 1st week most of the weight lost will be water mainly with some fat and protein. Needing time to adapt means that the body needs those 2 weeks to adapt before making long term metabolic changes. In addition, any low calorie diet would result in weight loss. The 1200 kcal could be for some people within a safe range however, calorie intake can depend on body build, age, gender and levels of physical activity. For example men in general have higher calorie ranges and for some 1200 kcal may be too low. Some research does show that in obese and morbidly obese people, very low calorie diets and fast weight loss can be more effective and can show better results. However, if obese and/or morbidly obese, taking on radical changes such as following a very low calorie, very low carb diet can be a shock to the body. It is recommended that a doctor, medical professional and/or a registered dietician, as there may be high risks for health. In terms of overweight people there is no sufficient scientific evidence that fast weight loss can have better results. I must note that the research Dr Moreno has cited in his book is regarding obese women and not overweight. In general, fast weight loss is not recommended. Some studies have shown positive effects and some have studies have suggested that there may be links to negative long term effects to health. The diet appears to promote a long term obsession with dieting and weight. It does recommend dieters weighing themselves once a week and if they have gained 5 pounds to go back into dieting. This constant preoccupation with weight and dieting is surely not a healthy behavior. It is probably much better for people to commit themselves in changing behaviors and eating habits rather than follow a lifelong diet. Finding the reasons why one may have put on weight and changing those behaviors and reasons could have long term sustainable results. If for some people it works to follow the diet in order to make those changes could be as effective. However, I would not recommend lifelong weight and dieting obsession. Balanced diet, moderately lowering calorie intake, and increasing physical activity is as good and safe option for losing weight. As with every weight loss programsif suffering from any medical/health conditions and complaints always consult a medical professional before starting any diet. The 17 day diet would not be recommended for people who may have kidney problems/complaints, diabetics, pregnancy, high uric acid such as gout. If in any doubt or if you have any concerns always consult a medical professional.